My question to Sue was: Sue, I haven’t yet mentioned on my blog about your books becoming available as e-books. Do you have information for me regarding that? The following is her reply. Lynn has asked me to share about the story of the ebook release of my 6 Alaska novels, so this is a story about a little dream becoming a lot bigger than I ever thought it would. 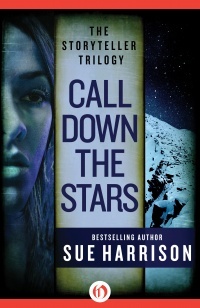 In August 2012, my husband Neil mentioned that we really should look into my old contracts and see if we could get the ebook rights assigned to us by the publishers of my Alaska books, Doubleday, William Morrow, and HarperCollins. We weren’t all that motivated, thinking that it might take us a long time to jump through all the necessary hoops, but we dug out the contracts and were met with a very welcome surprise. We already owned the rights! The literary agent who represented my Alaska novels, Rhoda Weyr (now retired), had retained those rights – way back in the 1990s before ebooks were “invented,” and I am extraordinarily grateful for her foresight and wisdom. 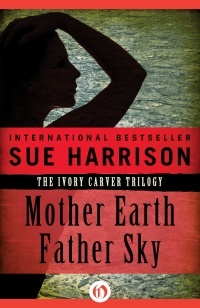 My husband set to work finding a company that would scan my novel MOTHER EARTH FATHER SKY in preparation for us to self-publish the novel in ebook format. We found Golden Images LLC, and Stan Drew and his people did a super job for us. However, our plans did an abrupt turn around when I received an email on November 7, 2012, from Maggie Lichota Crawford. 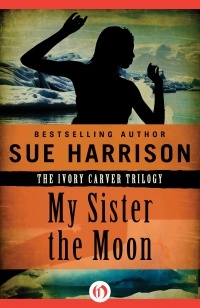 Maggie was the Avon paperback editor for my first two Alaska books, MOTHER EARTH FATHER SKY and MY SISTER THE MOON. Maggie wrote that she was now working at Open Road Integrated Media, a digital publisher based in New York City. She told us that Open Road publishes many distinguished authors digitally, including James Joyce, Pearl S. Buck, Pat Conroy, William Styron, Anne Perry…. And they wanted MY novels? Wow, serious happy-dancing. The next few months were filled with fun activities like updating and submitting my biography, reviewing cover artwork, and posing for new author photos. (Thank you, Erin Johnson!) 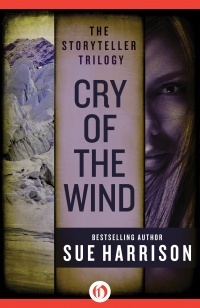 The six novels were released in May 2013, and are available from Open Road and all ebook retailers. What a dream come true! For those who are wondering, most of the video was shot here at our house and on our beach and surrounding woods. The hand hefting the axe is my husband’s. And no, we do not have that spectacular waterfall in our backyard. That is Tahquamenon Falls, located about an hour and a half drive northwest of us, and is one of the most recognized landmarks in Michigan’s Upper Peninsula. Open Road had another big surprise for us in September 2013. It was a Tuesday, and I had begun the mundane work of washing bedding, cleaning, and generally getting back into a routine after a three-day weekend of company. I sat down at the computer and buzzed through the emails that had accumulated and just happened to notice that one of them was from my aunt, Ruth Danner. Ruth’s message said that she’d turned on her Kindle and up popped a very nice advertisement about my novel MOTHER EARTH FATHER SKY. I immediately did a little sleuthing, found an email from my publicist Laura at Open Road and discovered that MEFS had been selected as the Kindle Daily Deal. Wow! Was that a shocker. The rest of the day, I was pretty much involved in watching the numbers. (I know that’s vain.) Wednesday was more of the same. Although my novel was back to normal price, people were still buying it. During those two days, MOTHER EARTH FATHER SKY rose to #3 nationwide for Amazon ebook sales, and my author ranking rose to #4 nationwide . That author ranking lasted only a few hours, but I have to admit that it was heady to see myself ranked higher than Stephen King and Clive Cussler. Despite all this talk about fame, please know that I know fame is a very brittle, unstable foundation for life, for self-worth, or for happiness. I’m so grateful that I don’t need accolades to tell me that I’m loved. My Bible tells me that. My family tells me that. My friends tell me that. I don’t need high author ranks to motivate me to work each day in whatever way God intends. But I did enjoy my 15 minutes of fame, and this is my opportunity to thank all of you for your support, for your help, for your kind words, and for reading my books. 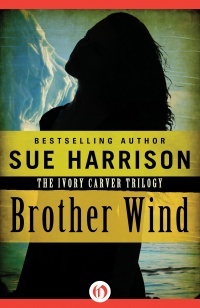 Thanks, Sue, for this fabulous and thrilling story of the revival of your books! 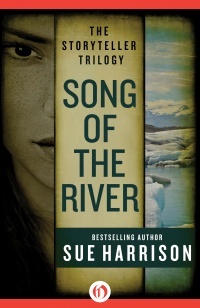 This entry was posted in Mostly About Reading, Reviews & Interviews and tagged Alaska novels, author interview, bestselling author, ebooks, from hard copy to ebook, historical fiction, Open Road Integrated Media, paper to digital, Sue Harrison. Bookmark the permalink. Lynn, thank you so much for inviting me to share my ebook story on your blog!! I so appreciate your support and the support of your readers for my work! It’s nice to be introduced to a new series of books. Visited Alaska in 2002 and loved the terrain. Her books sound poetic — lovely titles. Congratulations to Sue. I’m so glad you’ve had the opportunity to visit Alaska, Patricia. What an incredible place. I always feel like I can’t hold my eyes wide enough to take in all the beauty! Thank you, Erik. I loved your book, too! !